Saturday I took a trip to the quilt store to find some fabric ( I actually went to buy glue baste but came out with fabric). I found some great fabrics but I am to cheap to buy fabric for $12.99/yd so I went to the sale area. 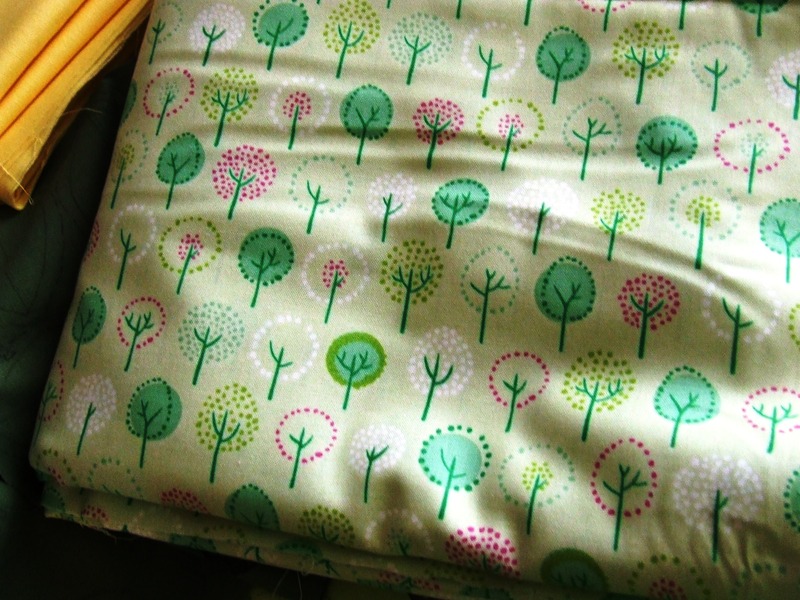 I was looking for backing fabric for the Partridge in a Pear Tree quilt. This will not be a traditional Christmas quilt, so I did not look for “Christmas” fabric. Here is what I found. I have tried pressing without basing first and even with the mini iron I can’t get as accurate as I want, so I am still basing, but it goes fast. I have tried glue stick basting and I hate it…sticky mess all over my fingers. I on-line ordered some of the liquid glue baste to try out but until that arrives (I could not find any locally) I will continue to pin them in place for applique. I will go back to hand quilting tomorrow (I gave my hands a 2 day quilting rest) and then go back and forth between the projects. This entry was posted in Quilts and tagged Applique, fabric shopping, Quilting, Quilts. Perfect fabric! It wil be great on that quilt! The fabric is just PERFECT! Thanks! and the price was perfect! I hate to pay full price for fabric either now with the price increases. I did some on line shopping yesterday from a place going out of business and saved so much – the only way I will do it now. You will be glad to have leaves finished I am sure. I am always afraid to buy fabric on line because it is harder to tell the color….but I think it is time to get over that…there are so many better deals! 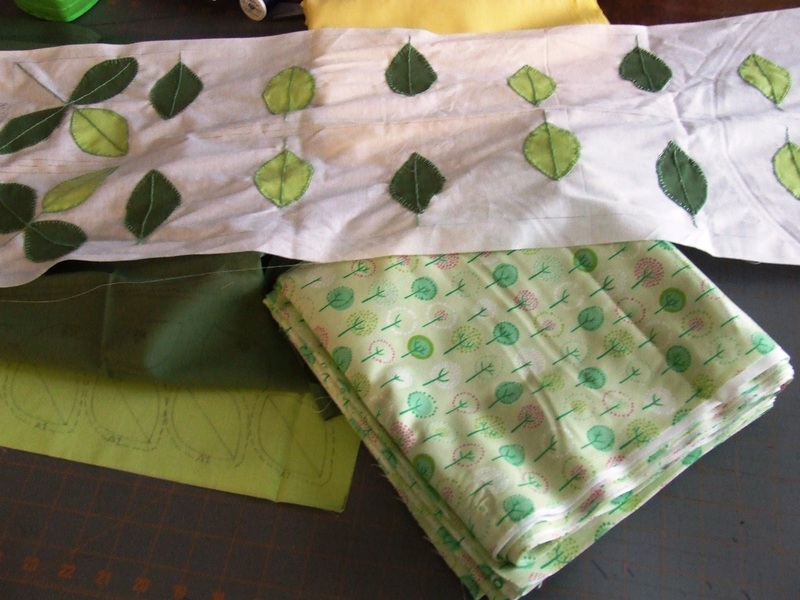 Have you tried the starch method of turning under edges for applique? It is easy and makes a nice crisp edge. Let me know if you want a quick explanation. What a perfect fabric for the backing — great choice! Have you tried back basting appliqué? It makes for great accuracy. I have not tried that one …I dont think I ever saw a good explanation…. Back-basting is fun! It’s more of a prepping method since the actual stitching is needleturn. It’s also one of those things that you can have explained and explained and unless you do it, it doesn’t necessarily “click.” I’m not sure it would be very efficient with your current project, though. HA! I thought I was looking at MY pressing board, mine is pretty stained and scorched too!! As for me, I have posted a couple of posts about this ‘fabric buying’ thingy!! Aug. 4 will be 19 months since I have bought even one stitch of thread. Yep, I am Rebelling!! The high fabric prices are unfounded….a form of price gouging. We raise cotton and I KNOW what the real price of cotton is and has been that last 2 years. Cotton prices are much lower so far for this year. We’ll see if fabric prices fall as fast as they rose these last few years. Sorry, I’ll get down off my soapbox now!!! 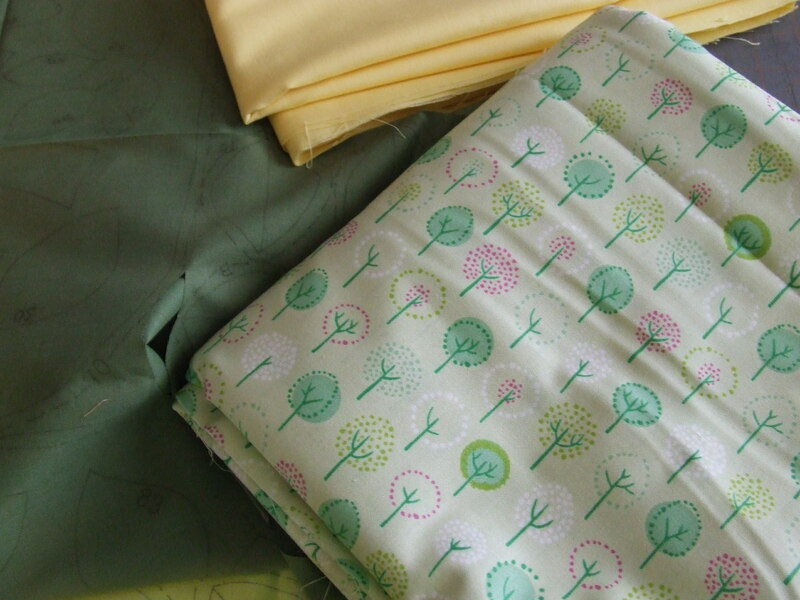 I don’t think you could have found any better backing fabric than those cute little trees!! Especially at 4.99!!! I like to applique, but I have only done one quilt with it so far. I tried sooo many different methods that I think when I do another one I will be able to do it faster and much better. 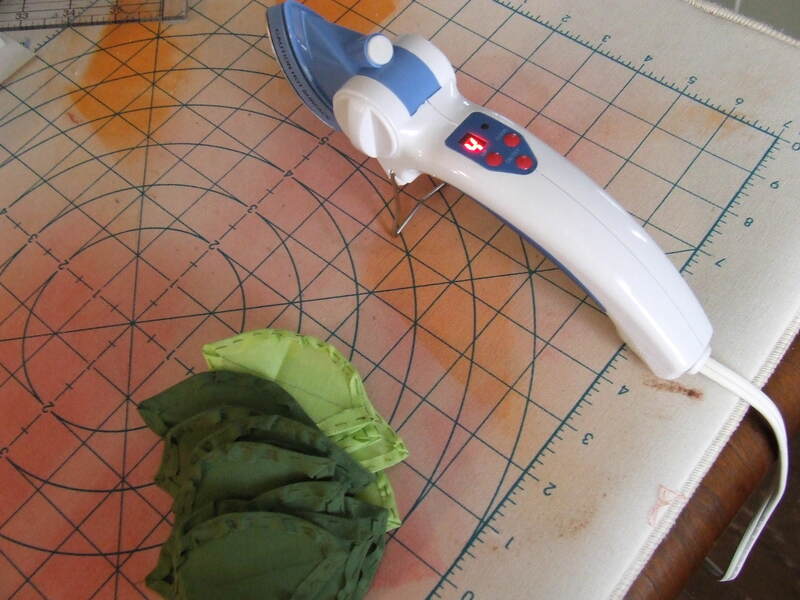 If you plan on washing/rinsing your quilt when your finished you can use just plain ole Elmer’s glue. Using a few tiny dots closer to the ‘raw’ fabric edge you have turned down. I was amazed at how well it held and how much better it kept my piece in it’s proper placement. P.S. 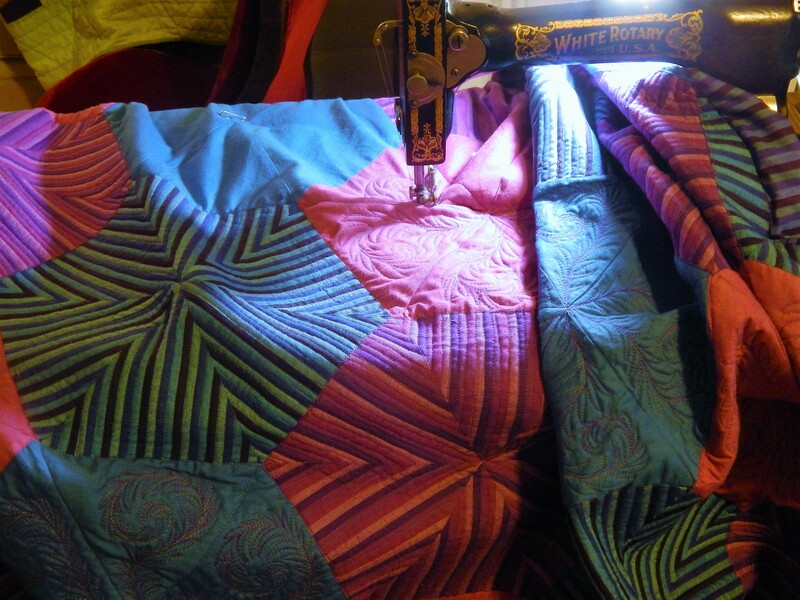 I’ve been forgetting to ask what you use, if anything, on your ‘underneath’ fingers when you hand quilt. Thanks for the glue tip! 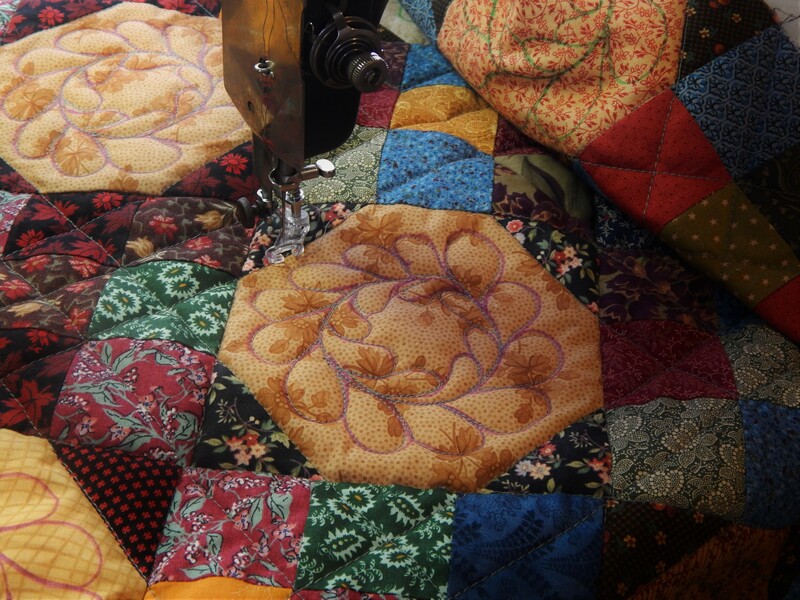 I always wash quilts when I finish so I will try it. and as to the pressing board I am so glad I am not the only one!! And I am with you on price gouging! Oh Oh…do tell do tell about the ‘never have a stab’!!! I can quilt numerous days without feeling like my fingers are sore, but eventually those teeny tiny pricks force me to take some time off from the quilting! 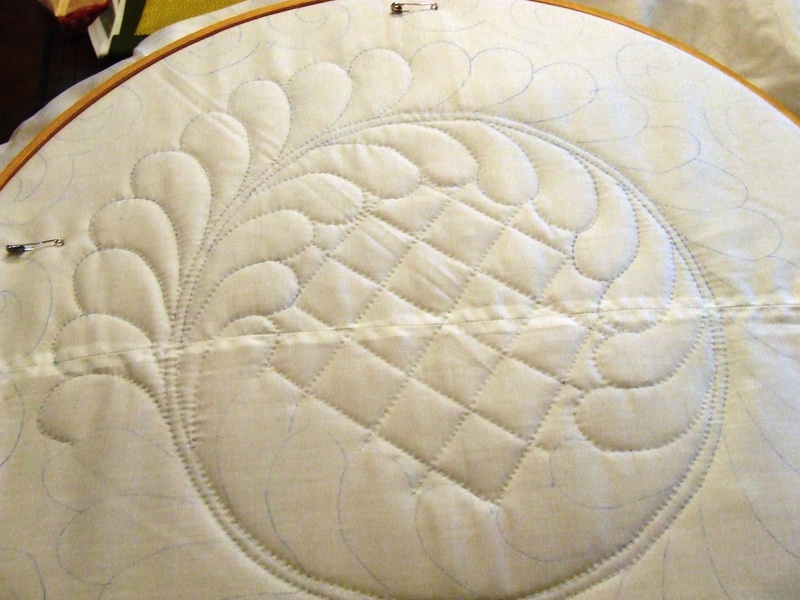 I have a bloggy friend who gives a lengthy 2 part post on how she uses the glue on her applique. You will really enjoy the read. I will look up the posts and get them to you!! 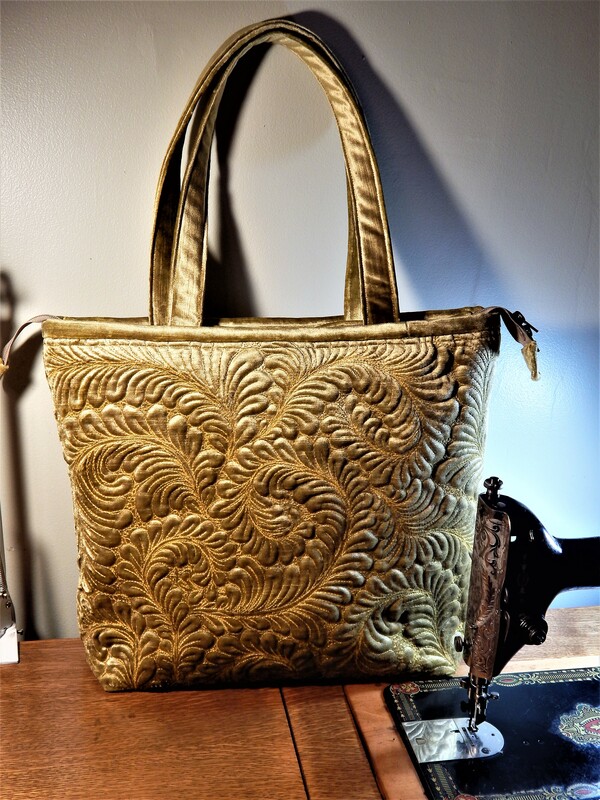 Ok…..go to http://www.fabrictherapy.blogspot.com…..click on ‘tutorials’ listed under her blog banner. 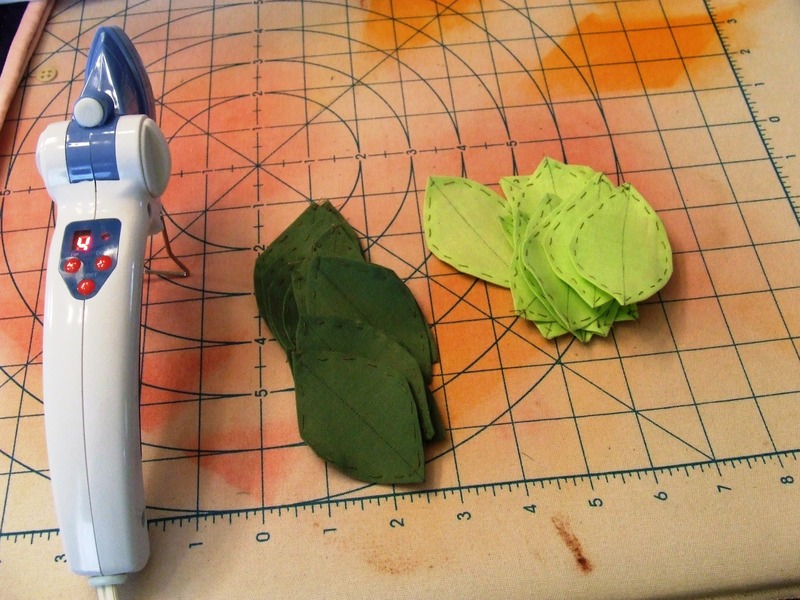 She has 3 parts to her applique method….be sure and go through ALL 3 parts, I think you will find it very helpful! She has a great blog! I used to give blood on a more or less regular basis while hand quilting. I tried to put something on my finger to prevent it, but found that I couldn’t get as good of a feel for the needle that way. It’s a lot better now, though I do frighten my wife when it’s completely silent and I stab myself and YELP!!! It is so seredipitous to find the perfect fabric to back a quilt. Watching your progress, as always.